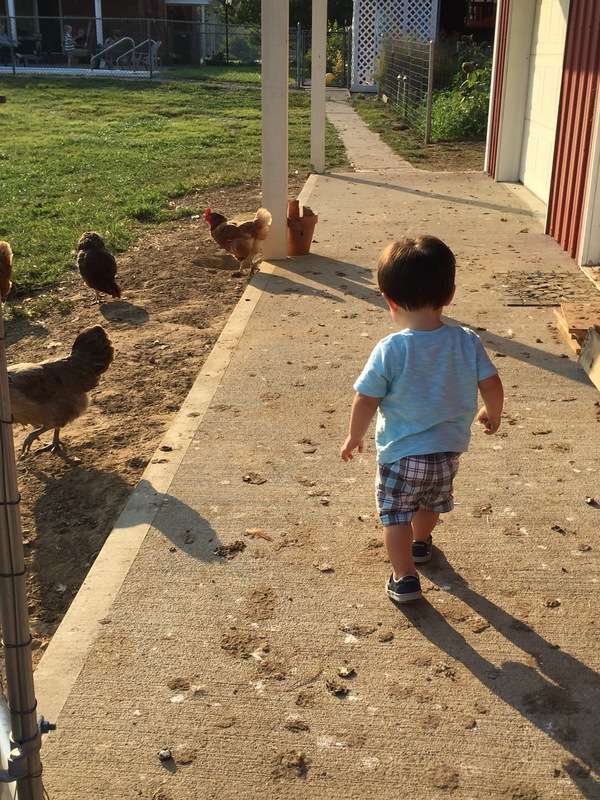 Last Sunday at family dinner, my little nephew Landen had his first mobile experience with chickens. He’s just beginning to get stable enough on his feet to walk in the yard by himself. 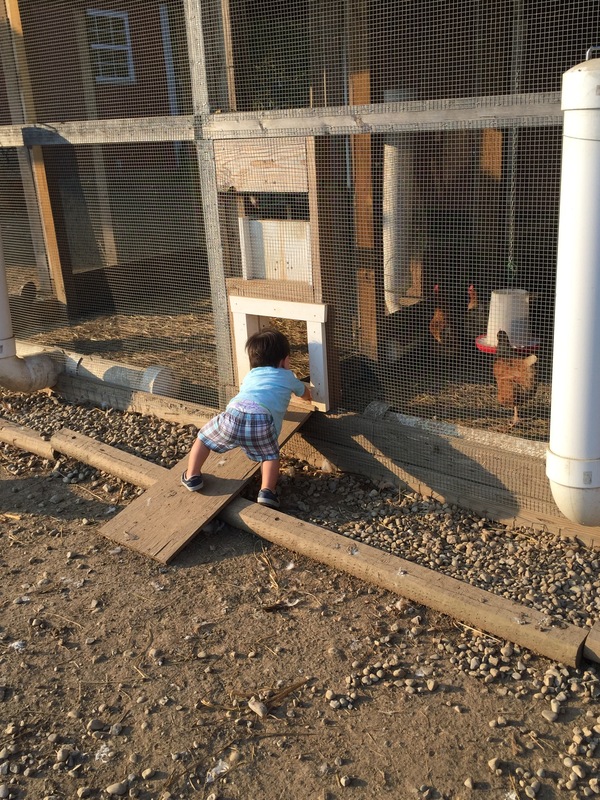 My brother brought him out to the chicken coop to see what he’d do. He got out in front of the workshop when he saw his first group of the girls. 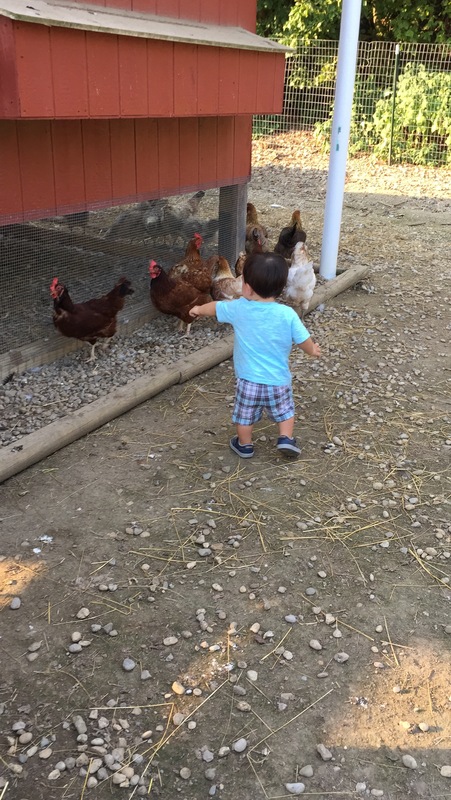 He stood for a moment and starred at them then he reached out and yelled “chicken” and was off chasing. Will brought him into the actual coop next. The feeder with oyster shell (a supplement for added calcium) in it was just the right height for him to reach in. He found it great fun to toss the pieces onto the ground. Don’t worry, we watched closely to make sure he didn’t eat any or put his hands near his face! Outside the coop, he found another batch of girls to chase. He wanted so badly to touch one! 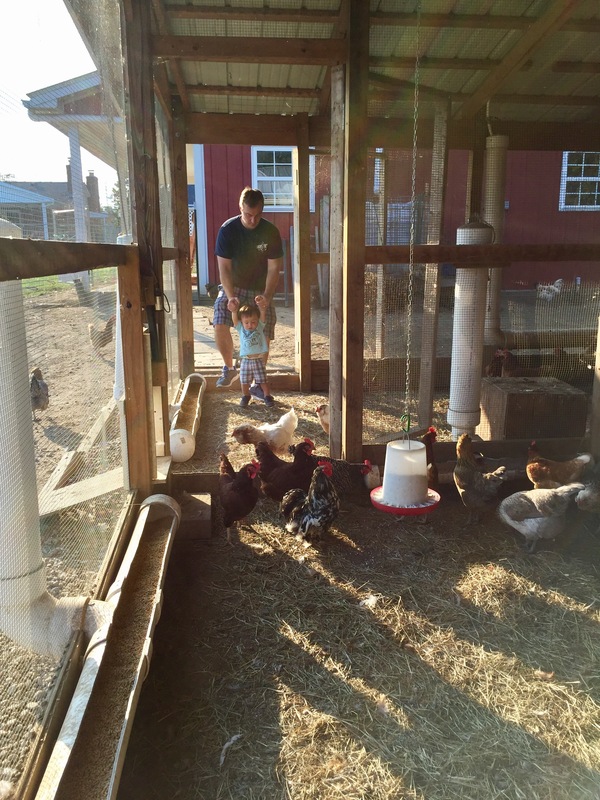 Landen was just the right size to fit through the chicken door and he went right back to the oyster shell feeder and started tossing pieces out again. It’s the simple things that bring great joy when you’re little. I think we’ll have this little guy collecting eggs in no time. 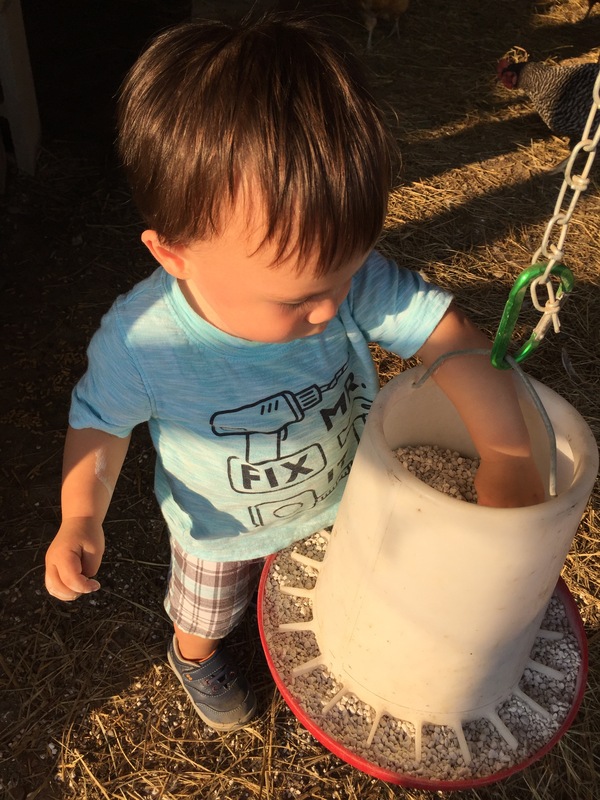 His big sister Bailey will teach him how to do it gently and just like that we’ll have a new generation of farmers!